For today's Where are they now? post I would like to take some time to talk about one of Sierra On-Line's most famous game designers: Al Lowe. If it weren't for Al Lowe, perverts across the world wouldn't have the Leisure Suit Larry series, a series that consisted of six games during its original run with Sierra On-Line. So how exactly did Al Lowe (who often calls himself "the world's oldest game designer") end up working for Sierra On-Line and what has happened since his days working there? What's he up to nowadays? Let's start in the 1980s. Before becoming a programmer, Al Lowe was a public school music teacher for 15 years until in 1982 he discovered his passion for programming. After quickly teaching himself how to program games, Al Lowe released a few for the Apple II including Dragon's Keep, Bop-A-Bet and Troll's Tale - all children's games. Sierra On-Line was impressed with his work and decided to buy his games and hire him; so in 1983 Al Lowe started working at Sierra On-Line as a designer/programmer and would stay at the company for another 16 years. Lowe's first projects at Sierra On-Line included more children's games or at least games licensed by a company associated with children's products: Disney. Al Lowe would develop Winnie the Pooh in the Hundred-Acre Woods (1983), The Black Cauldron (1984) and Donald Duck's Playground (1986) for Disney but he was also involved with Sierra's "Quest" games too. He composed music for King's Quest II (1983) and Space Quest II (1987), and programmed King's Quest III (1985) and Police Quest (1987). It was in 1987 when the release of the notorious Leisure Suit Larry in the Land of the Lounge Lizards (or Leisure Suit Larry 1) made Al Lowe truly famous. Leisure Suit Larry's locations and puzzles were actually based off an earlier Sierra On-Line game called Softporn Adventure which was released back in 1981, before Al Lowe joined the company (interesting bit of trivia: did you know that Sierra On-Line is mentioned in Tom Clancy's novel "The Hunt for Red October"? Apparently Clancy met Softporn Adventure's designer Chuck Benton before and that's how he knew of the company). Lowe mentioned that there weren't any characters in the original game though and he had to rewrite almost all the dialogue, retaining only one line. Leisure Suit Larry involved a couple of other famous Sierra alumni, including Mark Crowe (of Space Quest fame) who co-designed the game and worked on the graphics, as well as Sierra CEO Ken Williams who helped Lowe with the programming. Lowe, already an accomplished jazz musician since the age of 13, would compose the famous Larry Theme officially known as "For Your Thighs Only" (gee, I wonder if Al Lowe is a James Bond fan). Apparently it only took Lowe 20 minutes to create the track and little did he realise that it would become ubiquitous with the Leisure Suit Larry series. Leisure Suit Larry became a huge success paving the way for many sequels over almost a decade. The last Leisure Suit Larry adventure game to be released by Sierra was Leisure Suit Larry 7: Love for Sail! in 1996. While not working on the Leisure Suit Larry series, Al Lowe did work on some other Sierra titles including King's Quest IV (1988), Freddy Pharkas: Frontier Pharmacist (1993) and Torin's Passage (1995). In 1998, Al Lowe went into retirement and probably devoted more time with his family and his website known as Al Lowe's Humor Site. He still runs this site to this very day along with his daily joke mailing list called "CyberJoke 3000". It wasn't until 2006, that reports emerged of his involvement with a company known as iBase Entertainment to develop a new game which was called Sam Suede: Undercover Exposure (the rights to the Leisure Suit Larry franchise were at this time owned by Activision). Unfortunately, no publisher was found for the game so in December that same year, the company shutdown. Following this setback, Lowe expressed serious doubts whether he'd ever want to be involved in the gaming industry again. Lowe did direct and produce an iOS game called Al Lowe's Comedy Club (by Binary Mill) in 2010 but it wasn't until 2012 that Al Lowe was once again involved with adventure games and once again involved with the Leisure Suit Larry franchise. A company called Replay Games managed to secure the rights to the Leisure Suit Larry franchise and wanted to remake the six Leisure Suit Larry games that were originally developed at Sierra. A Kickstarter project managed to raise $655,182 in early 2012 from almost 15,000 backers (one of them being me!) for a remake of the first Leisure Suit Larry titled Leisure Suit Larry: Reloaded. Sierra alumni such as Josh Mandel and Leslie Balfour were also involved with the project along with Grammy-nominated composer Austin Wintory and after several months of work, the game was released in June 2013, Al Lowe being the first of the Sierra alumni to release a new game via Kickstarter. 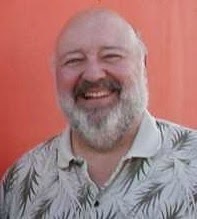 Although Al Lowe was originally going to work with Replay Games to develop remakes for the remaining Leisure Suit Larry games, he left Replay Games on 11 December 2013 and returned to retirement. While Replay Games stated the departure was amicable, Al Lowe disputed this claim, saying the parting wasn't on good terms. So I guess the big question now is whether Al Lowe still has any appetite for developing new games? An interview by gaming YouTube channel Top Hats and Champagne reveals that Al Lowe isn't saying "no" to developing a future game, stating that "the future is unclear" but he doesn't seem to be working on one at the moment. He hopes that Replay Games will get enough profit from the first game in order to develop more Leisure Suit Larry games but since they had a falling out he won't be working with them in the future. He says that as long as they hold the rights, that they'd have to create the new Leisure Suit Larry games without him, although he thinks it unlikely that they would. Al Lowe Leisure Suit Larry retro Sierra Where are they now?